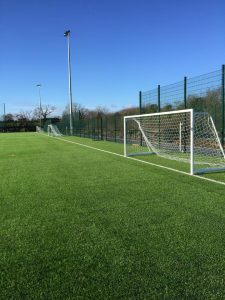 Click here to check availability of a Manor Fields Pitch now! This will take you to the pitch bookings page where you can view the availability. Once you have found a date & time that suits, please email us at [email protected] & we will book that slot for you. All hirers and users of the Manor Fields Adare are subject to the Terms and Conditions of Hire and Use as shall be laid down from time to time. Those wishing to book the facilities must complete the official booking process. No activity can commence until theofficial confirmation email of the booking is received by the applicant person/group from. Pre-booked pitches may not be transferred by the hirer to any other person/group without prior approval from the manager of the Manor Fields Adare. The contact person(s) named in the online form will be the person with whom all official communication from the Manor Fields Adare manager will take place. If there are any changes in the details of the group organiser/contact person the manager of the Manor Fields Adare must be informed immediately. The person named in the booking will be the person responsible for the group, including full payment of the facility, behaviour of those attending the booking, and adherence to the terms and conditions of hire and use of the facility. All bookings include the time required to prepare, erect, dismantle and remove equipment. Bookings for children under 18 years of age must be booked and supervised by a person aged 18 or over. Organisations must provide a copy of their current insurance policy. Non affiliated groups should endeavour to put insurance in place. A minimum of 48 hours notice of a cancellation must be given to the Manager of the Manor Fields Adare. Failure to do this, or failure to show on the given hire time for the booking, will result in the group being charged for the hire of the facility. All bookings that have paid by Credit Card and are due a refund, will be refunded in full, less any booking fees. If the pitches are unplayable the Manor Fields Adare reserves the right to close the pitches. If this happens every effort will be made to contact the groups directly. No items should be taken on to the pitch except those needed to play the activity for which the facility was booked. Drinks, tracksuit tops etc. should be left at the side in the interests of user safety. Hurleys must either have no bands or have bands taped and fully covered. No damaged hurleys will be allowed. Smoking is not permitted in any area of the Manor Fields Adare. Chewing gum is not allowed in any area in or around the pitches. Alcohol or drugs are not allowed in or around the Manor Fields Adare and no person who is in the opinion of the Management under the influence of alcohol or drugs will be admitted or allowed on or near the facility. Money/valuables should be left in a safe area and not in an open area on view at any time. Management accepts no responsibility for items lost/stolen on the premises or grounds, or for any loss, damage, or injury occurring in or in the vicinity of the pitch, or for any injuries to persons participating in any activity in or on its facilities. Climbing on the nets, swinging from crossbars and any other behaviour likely to lead to damage to the facility or injury is forbidden and will lead to immediate expulsion from the facility. Only park in designated parking spaces. Dogs are not permitted on the Astro Turf Pitch, Grass Playing Pitches or Playground. Dog Litter is not acceptable & poses a health risk. Owners must pick up & bring home dog litter. The Manor Fields Adare is a litter free zone. Bins are deliberately not provided. Take your litter home. Special consideration must be given to neighbours living near the facility. No excessive noise, conduct or general nuisance will be tolerated and offending users will be removed. Supervising personnel must be obeyed at all times during the hire. They are responsible for ensuring compliance with the Terms and Conditions of Hire and Use and have the authority to remove users from the facility. Non-acceptance of supervisory personnel’s decisions or any aggression or violence towards supervisory personnel will not be tolerated and may result in the removal of those involved from the premises and the cancellation of all future bookings. Only players and trainers/coaches are permitted inside the pitch during a booking time. For safety reasons children under the age of 18 are not allowed inside during a booked session unless they are officially part of the booking and of the activity for which the booking was made. No use will be permitted outside the operational hours of the pitch. Anyone breaching this rule will be removed. Management may involve the Gardaí in enforcing this and other rules. The Management decisions on admission, allocation, use, operation, or closure of the facilities is final. Close the facilities for maintenance repair, holidays, or for any other reason. Where such closure occurs no claim shall lie against the Manor Fields Adare its management, staff or personnel in respect of loss or inconvenience suffered. Manor Fields Adare and its management point out that all persons using the facilities do so at their own risk. Users are strongly advised to seek medical advice before undertaking exercise. Users with any known medical condition should consult with their doctor before participating in any form of exercise.